Harvard scientists announce they’ve created metallic hydrogen, which has been just a theory. Microscopic images of the stages in the creation of atomic molecular hydrogen: Transparent molecular hydrogen (left) at about 200 GPa, which is converted into black molecular hydrogen, and finally reflective atomic metallic hydrogen at 495 GPa. Courtesy of Isaac Silvera. When Margaret Morris looks around her physics class, sometimes she is the only woman there. Sugar was in the dock at Harvard Law School this week, accused of a prime role in the twin epidemics of obesity and diabetes sweeping the country. Science journalist and author Gary Taubes ’77 made his case that sugar consumption — which has risen dramatically over the last century — drives metabolic dysfunction that makes people sick. The hour-long talk was sponsored by the Food Law and Policy Clinic and drawn from Taubes’ new book, The Case Against Sugar. A reputation for “empty calories” — devoid of vitamins and nutrients but otherwise no different from other foods containing an equal number of calories — has allowed sugar to maintain a prominent place in the U.S. diet. Taubes is dubious. First, all calories are not equal because the body metabolizes different foods in different ways. More specifically, there may be something about eating too much sugar — in particular fructose, which is metabolized in the liver — that implicates it in metabolic disease. Taubes laid out a case that he admitted was “largely circumstantial,” though one he considers compelling enough that it would gain at least an indictment from an impartial jury. The problem with the evidence, he said, is that public health researchers haven’t focused enough attention on sugar. “The research doesn’t exist beyond reasonable doubt that sugar is to blame,” Taubes said. Diabetes, Taubes noted, was once a rare disease. He traced its rise through the 1800s and 1900s from just a fraction of 1 percent of the cases seen at Massachusetts General Hospital to a condition that afflicts nearly 10 percent of the U.S. population, according to the Centers for Disease Control and Prevention. That increase, he said, coincides with an increase in sugar in the American diet. He tied today’s problems to both the sugar industry and some of the scientists responsible for informing the public about diet. 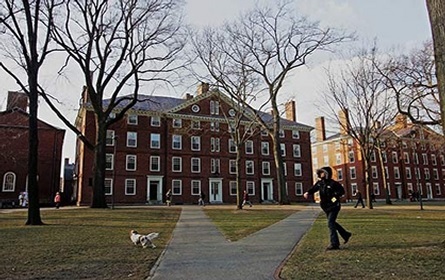 Two researchers prominent in Harvard’s history didn’t escape blame: Elliott Joslin, the founder of the Harvard-affiliated Joslin Diabetes Center, and Frederick Stare, the founder of the Harvard T.H. Chan School of Public Health’s Nutrition Department. Yet some argue that signs of Earth life 3.8 billion years ago have been detected in the rock record, and lifeforms were certainly present 3.5 billion years ago. Considering the painfully slow pace of early evolution — the planet, after all, supported only single-cell life for several billion years before multicellular life emerged — some researchers are skeptical about the likelihood of DNA-based life evolving in the relatively short window between when Earth became cool enough to support life and the earliest evidence of actual life. A DNA helix animation. Life on Earth is based on DNA, and some researchers have been working on ways to determine whether DNA life also exists on Mars or elsewhere in the solar system. No image credit. So what else, from a scientific as opposed to a religious perspective, might have set into motion the process that made life out of non-life? A team of prominent scientists at MIT and Harvard are sufficiently convinced in the plausibility of panspermia that they have spent a decade, and a fair amount of NASA and other funding, to design and produce an instrument that can be sent to Mars and potentially detect DNA or more primitive RNA. In other words, life not only similar to that on Earth, but actually delivered long ago from Earth. It’s called the The Search for Extraterrestrial Genomes, or SETG. Gary Ruvkun is one of those researchers, a pioneering molecular biologist at Massachusetts General Hospital and professor of genetics at Harvard Medical School. I heard him speaking recently at a Space Sciences Board workshop on biosignatures, where he described the real (if slim) possibility that DNA or RNA-based life exists now on Mars, and the instrument that the SETG group is developing to detect it should it be there. The logic of panspermia — or perhaps “dispermia” if between but two planets — is pretty straight-forward, though with some significant question marks. Both Earth and Mars, it is well known, were pummeled by incoming meteorites in their earlier epochs, and those impacts are known to have sufficient force to send rock from the crash site into orbit. Mars meteorites have been found on Earth, and Earth meteorites no doubt have landed on Mars. Ruvkun said that recent work on the capacity of dormant microbes to survive the long, frigid and irradiated trip from planet to planet has been increasingly supportive. The instrument being developed by the group, which is led by Ruvkun and Maria Zuber, MIT vice president for research and head of the Department of Earth, Atmospheric and Planetary Sciences. It would potentially be part of a lander or rover science package and would search DNA or RNA, using techniques based on the exploding knowledge of earthly genomics. Those ubiquitous gene sequences, he said, were present more than 3 billion years ago in seemingly primitive lifeforms that were, in fact, not primitive at all. Rather, they had perfected some genetic pathways that were so good that they still used by most everything alive today. And how was it that these sophisticated life processes emerged not all that long (in astronomical or geological terms) after Earth cooled enough to be habitable? “Either life developed here super-fast or it came full-on as DNA life from afar,” Ruvkun said. It’s pretty clear which option he supports. Ruvkun said that the rest of the SETG team sees that kind of inter-planetary transfer — to Mars and from Mars — as entirely plausible, and that he takes panspermia a step forward. He thinks it’s possible, though certainly not likely nor remotely provable today, that life has been around in the cosmos for as long as 10 billion years, jumping from one solar system and planet to another. Not likely, but at idea worth entertaining. Maria Zuber of MIT, who was the PI for the recent NASA GRAIL mission to the moon, has been part of the SETG team since near its inception, and MIT research scientist Christopher Carr is the project manager. Zuber said it was a rather low-profile effort at the start, but over the years has attracted many students and has won NASA funding three times including the currently running Maturation of Instruments for Solar System Exploration (MatISSE) grant. “I have made my career out of doing simple experiments. 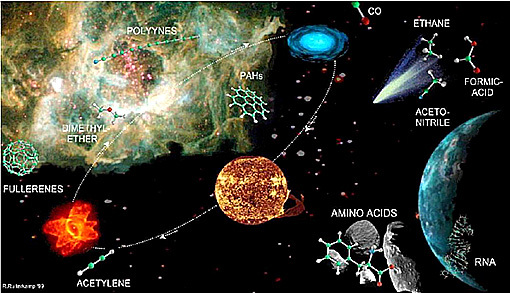 if want to look for life beyond earth helps to know what you’re looking for. DNA sequencing instruments like the one her team is developing are taken to the field regularly by thousands of researchers, including some working with with SETG. The technology has advanced so quickly that they can pick up a sample in a marsh or desert or any extreme locale and on the spot determine what DNA is present. That’s quite a change from the pain-staking sequencing done painstakingly by graduate students not that long ago. Zuber said the instrument was not ready to compete for a spot on the 2020 mission to Mars, but she expects to have a sufficiently developed one ready to compete for a spot on the next Mars mission. Or perhaps on missions to Europa or the plumes of Enceladus. Of the roughly 61,000 meteorites found on Earth, only 134 were deemed to be Martian as of two years ago. But how many have sunk into oceans or lakes, or been lost in the omnipresence of life on Earth? Not surprisingly, the two spots that have yielded the most meteorites from Mars are Antarctica and the deserts of north Africa. And when thinking of panspermia, it’s worthwhile to consider the enormous amount of money and time put into keeping Earthly microbes from inadvertently hitching a ride to Mars or other planets and moons as part of a NASA mission. The NASA office of planetary protection has the goal of ensuring, as much as possible, that other celestial bodies don’t get contaminated with our biology. Inherent in that concern is the conclusion that our microbes could survive in deep space, could survive the scalding entry to another planet, and could possibly survive on the planet’s surface today. In other words, that panspermia (or dispermia) is in some circumstances possible. Testing whether a spacecraft has brought Earth life to Mars is actually another role that the SETG instrument could play. If a sample tested on Mars comes back with a DNA signature result exactly like one on Earth–rather one that might have come initially from Earth and then evolved over billions of years– then scientists will know that particular bit of biology was indeed a stowaway from Earth. Rather like how a very hardy microbe inside a meteorite might have possibly traveled long ago. PH.D. candidates Jenny Schloss (left) and Matthew Turner are co-authors of a recent paper on using nitrogen vacancy centers — atomic-scale impurities in diamond — to track neural activity. “We want to understand the brain from the single-neuron level all the way up, so we envision that this could become a tool useful both in biophysics labs and in medical studies,” said Schloss. In recent years, cancer patients have benefited from a new array of weapons to fight the disease. Traditional chemotherapy and radiation therapy — blunt clubs aimed at any fast-growing cell in the body — have been augmented by “targeted therapy” drugs that interfere with specific cellular functions in an attempt to block cancer growth. More recently, therapies that unleash the body’s immune system on cancer have been making their way to the clinic, offering new “immunotherapy” weapons in what has become an expanding clinical arsenal. Researchers came to Boston in November for a daylong symposium on curing cancer. The session at Beth Israel Deaconess Medical Center (BIDMC) was hosted by Pier Paolo Pandolfi, George C. Reisman Professor of Medicine at Harvard Medical School and director of BIDMC’s Cancer Center and Cancer Research Institute. Pandolfi talked to the Gazette about the encouraging progress in the fight against cancer and about a promising new avenue of investigation opened by the discovery of another type of RNA. GAZETTE: You wrote in 2013 that we’re in a period of unprecedented opportunity in cancer research. Do you still believe that, and, if so, why? PANDOLFI: Absolutely. … I haven’t changed my mind a bit. Actually, there is more enthusiasm now, and our symposium was a testament to the enthusiasm. It was well attended because everyone is [asking] about the revolution in immune therapy. … But there is a second aspect, which is the noncoding RNA revolution. I don’t know if you’ve heard about it? GAZETTE: What can you tell me about it? PANDOLFI: This eye-opening, almost inconvenient truth emerged that our genome is a bit more complex than anticipated. We are [now] able to not only sequence the genome, but to sequence the transcriptome, the RNA that comes from the DNA. We realized that our protein-coding genome is only 2 percent of the [entire genome], [but] the rest of the genome — the other 98 percent — is not silent and does more than regulate protein-coding gene expression. In fact, it’s heavily transcribed and … at last count, we may have as many as 100,000 RNAs in our cells that don’t code for proteins. These include circular RNAs, circRNAs, which we didn’t see until now because we didn’t have the bioinformatics tools. Now, we appreciate that this species is one of the most abundant RNAs in our cells. We discovered that these RNAs are functional or profoundly dysfunctional, driving disease as well as protein-coding genes. This new knowledge will allow us to find new disease genes, to develop new drugs and new medicines. We are talking about RNA medicine. In our Cancer Center, we launched the Institute for RNA Medicine, a research initiative [that] is expected soon to become Harvard-wide. GAZETTE: What about treatments in the mainstream today or moving into the mainstream? PANDOLFI: There are two major breakthroughs. One is the targeted therapy revolution. Conceptually, we’ve moved from chemotherapy and radiotherapy, which are based on the only thing that we [once] knew about cancer: that it is characterized by proliferation. The idea was that if you block proliferation, the cancer will suffer. [But] resistance ensues, and toxicity is huge because our body also has [noncancer] cells that proliferate. Then we discovered cancer is driven by protein-coding genes. … We could develop drugs that do not necessarily kill the cancer cell, but rather fix the molecular problem [within the cell]. This approach led to great success. The reason why I’m here and director of this Cancer Center is … the story of a leukemia, APL [acute promyelocytic leukemia], which we cured. We developed a combinatorial treatment, which eradicated the disease. We found two drugs that go after the oncogene. Now this concept is accepted, with hundreds of targets, hundreds of oncogenes or tumor suppressors. The pharmaceutical industry is working hard in that space. The second new weapon is immune therapy. Cancer cells shut down the immune response in many ways. Cancer basically develops a shield to protect itself from the immune system. Now scientists have cracked this shield with approaches that go after it and break it down. The fruition of this new approach is what we are experiencing now. There are immune therapies that can really cure, meaning you can deploy the drug that breaks the shield and the immune system wipes the cancer out. The beauty of all this is … you can develop vaccines. You can create vaccines whereby the immune system remembers … so if there’s residual disease, as soon as the cancer tries to resurface, it will be again attacked by the immune system. PANDOLFI: We already know that cancer is not one disease, but many. Complexity is very high. So the challenge is twofold. We have hundreds of new [drug candidate] molecules, for each and every pathway of cancer. The first hurdle is to understand very rapidly which cancer they may work on, which cancer they may not, and why. Then, say the cancer [has] many mutations. Which mutation would confer resistance to that drug, and which combination of drugs will overcome that resistance? How can we combine them with immune therapies? The challenge now is how do we test all these things because if we did it in a human being, it would take forever. We came up with this idea of the “mouse hospital,” which is one of the signatures of our Cancer Center. We re-created the complexity of human cancer at three levels. First, we made mice that are genetically engineered to harbor all these genes that we are talking about, and now the noncoding RNAs. So the idea is to make a mouse which is a phenocopy of the cancer of Mr. Smith, who is treated at the Cancer Center, by engineering the mouse to express the genes of Mr. Smith. The second way is that you take the tumor of Mr. Smith, a biopsy, and you put it in a mouse. This is called an “avatar approach” or “patient-derived xenograft.” So you put the tumor in a mouse, and then you retransplant it in many mice. You have 100 mice, then you treat them with several drugs to very quickly understand which [drug] would work and which one would not. Meanwhile, Mr. Smith gets his standard therapy. They offer him drug X, then he fails and they offer him drug Y. As soon as he fails everything standard, there is what I call the panic phase. If you have the [mouse] avatar, while the patient is given the standard treatment, you can find a new drug or new drug combination that you can offer. The third approach is even faster. Again, Mr. Smith comes to the center, we biopsy his tumor or we take a leukemia sample and we put it in a [lab] dish. We grow mini tumors — organoids — and again test with several drugs. The organoid has the advantage that it is much less expensive and much faster. You can go from biopsy to drug testing in a matter of weeks. The next hurdle is very simple: Who pays for it? Maybe we’ll convince the insurers to pay for organoids. You don’t want to spend a huge amount of money to give Mr. Smith a drug that doesn’t work. So … why don’t you give us a little more money to do genotyping analysis and organoids? This prescreening allows you to know if the drug is needed. But we are not yet there. [Now] this approach is funded by government through grants, by philanthropy, and by the cancer center. PANDOLFI: This is a big ongoing argument. We still offer a standard of care that is oftentimes obsolete. We know it doesn’t work. Why don’t we flip the approach? Why don’t we offer the targeted therapies first and then maybe we follow with the standard of care? The other thing happening now is the need to deliver combination therapy. But the FDA still doesn’t allow you to try a combination or cocktail of drugs in [clinical trials]. You have to do it one at a time, which is never-ending. There are a number of people who are pushing to do a cocktail of drugs up front. You would combine them all and do phase 1 and phase 2 and phase 3 [trials]. At the moment all this is done, almost invariably, at the end of the journey when the panic phase ensues. GAZETTE: And when the person is much sicker. PANDOLFI: And when the patient is much sicker, when the cancer is much more complex because it has evolved in your body. The last point I would make is that there is only one way to fight the complexity of cancer, which is to diagnose it earlier and earlier and earlier. We will defeat cancer. Conceptually, we can. But it will take time. We need to push the envelope [of] early diagnosis. [If] you have three nanoparticles in your body that signal there is something wrong, you go in and take them out. If you can do that, you’re treating a cancer which is simpler … the genetic complexity is smaller, the size is smaller, and the targeted therapy and immune therapy will be much easier to deploy. I think the noncoding RNA will help. We need to find biomarkers that we can use and can monitor on almost a regular basis. We will probably introduce a panel of genes or RNAs that you can detect in your blood that will spy for possible cancer development. GAZETTE: Would you do that every year at your annual checkup? PANDOLFI: Why not? Men over 50 have the PSA [prostate specific antigen] test … and the PSA is one marker. Imagine that you can test 100 markers and increase the accuracy. You have a test that is all cancer, “pan-cancer,” you have 50 genes, and you are sure that if one of them is regulated, it’s either prostate or colon. You follow up with imaging and if you find something wrong, you get it out. GAZETTE: Which cancers do you think are most likely to be cured? PANDOLFI: The ones for which we have more knowledge. Although leukemia is not entirely cured, the first successes that we experienced were in leukemias, the first real cures were in leukemias. The other factor is that you need to have some time to play the game, so I think slowly developing cancers that give time to the operators to use this panoply of drugs, such as prostate cancer or cancers that are already impacted by current therapies, will be cured first. Tong, it seems, had come to the right place. He was speaking on a warm July day in a small courtyard at the European Organization for Nuclear Research, known as CERN, the scientific campus on the outskirts of Geneva that is the world’s beating heart for high-energy particle physics. Home of the world’s most powerful particle accelerator, the Large Hadron Collider (LHC), CERN made world headlines in 2012 when scientists announced the discovery of the Higgs boson, the final undiscovered particle in the theoretical framework of the universe called the Standard Model. The eyes of the scientific world remain focused on CERN today because the LHC is back in operation after a major upgrade that boosted its energy to 13 tera electron volts, allowing it to crash beams of protons into each other more powerfully than ever before. Now that the Standard Model is complete, scientists are looking for what’s still mysterious, sometimes called the “new physics” or “physics beyond the Standard Model.” Its form, presumably, would involve a particle born of these high-energy collisions, one that points the way to an even broader understanding of the universe, shedding light on such puzzling areas as dark matter, supersymmetry, dark energy, and even gravity, which has stubbornly refused to fit neatly into our understanding of the universe’s basic forces. CERN fired up its first accelerator in 1957. Among its milestone discoveries are the elementary particles called W and Z bosons, antihydrogen — the antimatter version of the common element — and the creation of the World Wide Web to share massive amounts of information among scientists, scattered at institutions around the world. The CERN campus, which straddles the Switzerland-France border amid breathtaking views of the distant Alps, produces more than just science, however. In ways technological, theoretical, educational, and inspirational, it also produces scientists. Inside the Antimatter Factory at CERN, the ATRAP antimatter experiment seeks to slow and trap antimatter for comparison with ordinary matter. Year-round, the graduate students and postdoctoral fellows taking their initial career steps work among established scientists, learning and gaining experience difficult to get outside of CERN or a handful of other facilities around the world. Harvard’s Donner Professor of Science John Huth said what becomes apparent is science’s messiness. In an environment focused on the practice of physics rather than the teaching of it, CERN puts the onus for learning onto the student, Morii said. Students build and test equipment, make sure what’s installed is running properly, and pluck the most meaningful pieces from the resulting data tsunami. They analyze it at all hours of the day and sometimes deep into the night, since there’s always someone awake and logged onto Skype to answer a question or share an insight. While fellows and graduate students are at CERN year-round, each summer the campus’ population swells as undergraduates eager to take part in the world’s most famous science experiment step off the plane in Geneva. At CERN, they become part of a unique city of physicists from around the world, with different educational and cultural backgrounds but the same passions and similar goals. As a visitor approaches CERN, the giant brown orb of the multistory Globe of Science and Innovation comes into view. Visitors quickly learn to look past the boxy exteriors to what’s inside. There they find thousands of people working on 18 experiments, seven associated with the LHC and the others with smaller accelerators and a decelerator, which is used for antimatter experiments like those run by Harvard Physics Professor Gerald Gabrielse’s ATRAP collaboration. ATRAP, short for “antihydrogen trap,” relies on the LHC’s high energy to make protons collide with a target to create antiprotons. The experiment then cools and slows the antiprotons, and combines them with positrons, the antimatter equivalent of electrons, to create antihydrogen for study and comparison with ordinary hydrogen. Gabrielse, who pioneered antimatter experiments at CERN, said that for students who want to go into high-energy physics, getting a taste of the enormous collaborations that are behind such experiments is key. “If you’re interested in making a career in doing those kinds of things [experimental particle physics], it’s extremely important to have this experience,” Gabrielse said. The LHC, with its potential to pierce the veil between the known world of the Standard Model and the mysteries that the model does not address, takes center stage. Yet to visitors wandering the halls and sidewalks of CERN, the LHC is nowhere to be seen. That’s because the LHC is buried 300 feet underground in a massive tunnel that runs 17 miles from Switzerland into France and back again. Its twin proton beams circle in opposite directions, crossing four times on their journey. At those crossings are four major particle detectors, one of which is ATLAS, a massive machine backed by a worldwide collaboration in which Harvard scientists play lead roles, and which was one of two experiments to detect the Higgs boson. “You can think of it (ATLAS) as a really large camera surrounding the collision point where protons collide,” Tuna said. ATLAS, which stands for A Toroidal LHC Apparatus, is 180 feet long, 82 feet in diameter, and weighs 7,000 tons. When the proton beams collide, they scatter particles in all directions. ATLAS dutifully records these collisions, producing far more data than current computing technology can store, so filters are employed that screen out more mundane results and keep only the most promising for analysis. The complex undertaking requires a collaboration that is as massive as the task the researchers have set for themselves. It includes about 3,000 physicists from 175 institutions in 38 countries. For decades, physicists exploring the most basic particles that make up the universe were guided by the Standard Model, which held that everything is made of a limited number of quarks, leptons, and bosons. Over the years, one by one, experimental physicists, including Harvard faculty members, found the particles predicted by the theory: bottom quark, W boson, Z boson, top quark. In 2012, they found the Higgs boson, the last theorized particle. When the huge hubbub over the Higgs discovery faded, particle physicists began to assess the field’s new reality. After decades in which theoretical physicists were leading, telling experimental physicists what new particle to look for, the roles are now reversed. As reliable as the Standard Model has been, it doesn’t explain everything. And, while theoretical physicists have several ideas of where those mysteries might fit into current knowledge, no evidence exists to tip the scales toward one idea or another. Even the Higgs boson still holds secrets, as detecting it didn’t completely explain it. Scientists who continue to probe the Higgs boson hope that the particle may yet reveal clues — inconsistencies from what is expected from the Standard Model — that will outline the broader path forward. A scientist’s path to CERN usually starts with a passion for physics. Graduate student Nathan Jones credits a family road trip to Colorado during which he read a library book about the universe. Undergrad Bledsoe was wowed by a trip to Fermilab outside Chicago as a high school freshman, while grad student Gonski traces it to the annoyance she felt when she learned her high school chemistry teacher had gotten the science wrong. After that initial spark, students take classes and often work in a campus laboratory before heading overseas. Some undergraduates go to CERN through the Undergraduate Summer Research Experience program run by the University of Michigan for students across the country. Several Harvard students benefitted instead from the Weissman International Internship Program Grant, established in 1994 to provide faraway opportunities for them. A field of sunflowers stands at the roadside on the approach to CERN. Once the funding is set, there’s nothing left but the plane ride and moving into their new digs. Undergraduates live in settings ranging from downtown Geneva to the French countryside. Last summer, three Harvard students — Ben Garber ’17, Gary Putnam ’17, and Bledsoe — rented an apartment over the border in France and commuted to work each day by bike, while Katie Fraser ’18 stayed closer, at CERN’s on-campus hostel. Days consisted of morning lectures on topics relevant to their work. After those lectures — and the occasional pickup basketball game at lunchtime — they’d spend afternoons working on a project. Garber worked with Tuna and DiPetrillo on an analysis of Higgs boson decay (the particle itself exists for a tiny period of time) into two W bosons. Bledsoe worked on hardware, building and testing a circuit board to be used in the planned 2018 ATLAS upgrade, in the cavernous Building 188 under the tutelage of Theo Alexopoulos from the Technical University of Athens. Wherever they were, whether doing project tasks or having cafeteria conversations, the students were steeped in physics. Melissa Franklin, Mallinckrodt Professor of Physics, said lessons can be found behind almost every door at CERN. Jennifer Roloff, a Harvard physics Ph.D. student, first came to CERN in 2011 as an undergraduate and has been back every summer. Now she helps manage the University of Michigan summer undergraduate program, which gives her a broad view of the student experience. That understanding, Gabrielse said, is as important a lesson as finding your intellectual home. Yet being at CERN is not just about science. Students have their weekends free and can explore their new surroundings. Some hike the Alps or the closer Jura Mountains. Others walk the ancient streets of Geneva, visiting its lakefront, restaurants, museums, and other attractions. Putnam loved a park near the University of Geneva where people played on large chessboards with giant pieces. He also soaked up the area’s natural splendor. Life at CERN as graduate students is not quite so fancy-free. Visits are limited to summers early in graduate careers as they complete coursework, but once that’s done, they can come and stay to conduct dissertation research. To keep the ATLAS collaboration running, graduate students are required to spend a year of research time doing work to benefit the experiment itself, to ensure that high-quality data is collected, for example, or that potentially significant collision events aren’t lost in the data. Part of DiPetrillo’s duty is assisting in ATLAS’ day-to-day operation, working in the ATLAS control room — with its Mission Control feel, and dominated by a wall-sized screen — and monitoring one of several subsystems that make the whole operation work. Monitoring those subsystems makes ATLAS a 24/7 proposition. In addition to working overnight in the control room, DiPetrillo is often on call to back up someone on site. While on call, she has to stay near her phone and within an hour’s drive of the facility in case something goes wrong. If that happens, she troubleshoots the problem with the person in the control room or pushes the problem up to someone more senior. “You can think of ATLAS as always taking data so we always need people watching it, making sure ATLAS is working in a way that we want [it] to, that the detector is working … and that data looks the way we expect,” DiPetrillo said. When not on call or manning the control room overnight, a graduate student’s life at CERN is full of meetings to share and hear the latest findings, and of hours poring over the latest data looking for the kind of statistical bump that might indicate a new particle — or a new something else. The LHC’s recent upgrade has made scientists hopeful that a new particle will be discovered soon. But if not, another upgrade planned for about 2018 may do the trick. While the recent upgrade made the energy of the proton beam higher, the next one will increase luminosity, or the number of protons in the beam, multiplying the number of collisions at any given moment and improving the odds of detecting extremely rare events. Atop the roof of the Science Center with solar panels in the background, SEAS/EPS Professor Michael McElroy talks about his new book, Energy and Climate: Vision for the Future, on the global energy challenge with climate change. Headlines focus on international agreements, sea levels, melting ice, and superstorms, but climate change is most of all an energy problem. Burning fossil fuels to power our cars and heat our homes produces carbon dioxide that transforms the atmosphere into a greenhouse, trapping heat that otherwise would radiate into space. While the fundamentals are solid, everything else about climate change is evolving. Climate science is advancing and economic pressures have dramatically altered the national fuel mix — for the better, most agree, though we still have miles to go. Even the political landscape that determines national climate action — or inaction — is in flux. Michael McElroy, Gilbert Butler Professor of Environmental Studies, has long helped explain the complexities of climate to students, scholars, and government leaders. 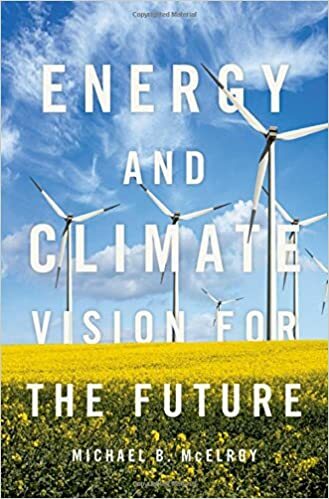 His most recent book, Energy and Climate: Vision for the Future, published in August by Oxford University Press, is a continuation of that work. He discussed the book in a recent interview with the Gazette. GAZETTE: In Energy and Climate, you talk about the U.S. energy picture being transformed over the last five years in ways that may make needed changes regarding climate tougher to accomplish. How has the U.S. energy scene changed into the one we’re in now? McELROY: The big change is that we no longer have the previous driving concern about national energy security. What has made the difference was the shale revolution. Ten years ago we were projecting that the U.S. would not only be dependent on imports for oil but also for natural gas. We now have a surplus of both. The U.S. is presently a net exporter of petroleum products. Prices for both natural gas and oil have plummeted. I had a student who wrote a beautiful senior thesis four or five years ago, in which he tried to analyze the break-even price for production of natural gas from shale. His conclusion was it would be about $5 per million BTU at a time when natural gas prices — wholesale prices — were $7, $8, $9. Now they’re below $3. So it’s a different world. Oil prices were $168 a barrel in 2008 just before the economic crisis. They are now below $50. The U.S. also has abundant sources of coal. Were it not for the climate issue, we could contemplate taking advantage of this resource also, doing so as efficiently as possible to eliminate conventional sources of pollution such as sulfur and nitrogen oxides and particulates. Emissions of CO2 could go through the roof under these scenarios. There is no cost-effective means to capture CO2. Concerning the potentially expanded emphasis [that] coal — not to mention oil and natural gas — could have on our energy system, this would be a disaster for climate. Bottom line is that we can no longer rely on policies that could be adopted to address concerns about energy security, looking to climate policy as a silent secondary beneficiary. We must now confront the climate issue directly. Clearly many in the body politic are reluctant to do so. GAZETTE: And the electricity supply has gotten cleaner, hasn’t it? But not because of climate change efforts? McELROY: Not because of climate change, but for economic reasons, largely. If you’re a utility and you’re able to vary the mix of generation options you can tap to produce electricity, your primary choice is likely to be between coal and natural gas. Old coal-fired power plants are very inefficient compared to new gas-fired power plants. The efficiency to turn the energy of coal into electricity in some of the older plants is as low as 20 percent. If you’re just worrying about efficiency, if you have the opportunity to turn off that inefficient coal plant and switch to a gas system and additionally save money [since gas is cheaper than coal], you’re going to do it. The choice is economically driven and the consumers are actually benefiting. GAZETTE: In your vision for the future, you emphasize that more electricity usage could be part of the solution. Clearly, electricity is already a big part of our energy picture; why should it be even larger? McELROY: Dealing with CO2 emissions from the transportation sector is extremely difficult if the transportation sector is fueled with liquid fossil fuels. You can’t capture CO2 from the tailpipe of every vehicle on the road — 260 million cars in the U.S. At the same time, there’s another a good reason to want to use electricity more in this application. If you drive your car with gasoline, the fraction of the energy in the gasoline that turns the wheels of your car may be as low as about 20 percent. If you drive your car with electricity, the fraction of electricity that turns the wheels could be as high as 95 percent. So, on an efficiency basis, electricity is better. As I discussed in the book, if I had to pay the retail price for electricity here in Cambridge, 19.8 cents a kilowatt hour when I was writing the relevant chapter, the equivalent gasoline price would be as low as $1.46 a gallon, as low as 67 cents a gallon in Washington state where electricity prices average about 9 cents per kilowatt-hour. So on a cost basis, it’s a good thing to do. Then, in addition, air quality would improve if we switched to driving electrically, so long as the electricity was produced from a nonpolluting source. The climate issue would be the obvious beneficiary. GAZETTE: You go chapter by chapter on possible fuels, and settle on wind and solar as the cleanest and most likely sources to power a future clean electricity grid. What are their drawbacks and can those be addressed? McELROY: The economics of wind in the United States is actually quite favorable. You can produce electricity for about 5 cents a kilowatt-hour with wind at present. So it’s competitive. The really serious drawback is that the wind is strongest in winter and our demand for electricity is highest in summer. The wind is also generally stronger at night than it is during the day and our big demand is during the day. And wind doesn’t blow all the time. So we need to find some way to deal with that particular issue. There are a number of possible strategies. You could integrate the electrical system over a large part of the country — so if wind is blowing in one place and not in another, by combining outputs you could reduce the net variability. If you had the opportunity to store electricity, that could minimize the problem also. So putting an emphasis on storage systems is a good thing to do. There’s important work going on here at Harvard by Mike Aziz and Roy Gordon on the flow battery idea. It’s something that might actually scale up as a utility scale opportunity to store electricity. I am enthusiastic also about the idea of taking advantage of the distributed storage available potentially in the batteries of large numbers of electrically propelled vehicles. I discuss this idea at some length in the book. You could imagine charging your car at night when prices of electricity are low and then selling power back to the grid during the day when prices are high, assuming you don’t need to drive at that time. This could represent a win-win strategy. You would still have the issue of summer demand for electricity when wind conditions will be less favorable. That’s where solar comes in. Solar, however, to this point, is still more expensive than wind. Despite this, solar is doing quite well in the U.S. We have a house on Cape Cod and five years ago or so we installed PV cells on the roof. We did this by making a deal with a particular company, Solar City, one in which they actually own the solar cells. They sized the solar cells to meet our projected historical annual demand for electricity. They gave us a deal where we have a fixed price for electricity for 20 years at half of what we were paying previously. How do they manage to do that? Turns out the retail cost for electricity on Cape Cod is very high. It’s very high because the delivery cost is high. The retail price is about 26 cents a kilowatt-hour, more than half of which is for delivery. So they’re giving us a deal at 13 cents per kilowatt-hour. There are requirements in almost all of the states now that some fraction of the electricity has to be renewable. If the utilities are not able to meet that requirement from their own resources, which generally they’re not, then they have to buy it. So the Solar Cities of the world are auctioning their renewable energy for incorporation in the grid. If New England Electric is looking for a certain amount of electricity from a renewable source, then Solar City can supply this by packaging sources from large numbers of houses under their control. The other thing that’s happening in the U.S. is that meters in many states are allowed to run in reverse. We’re not typically present on Cape Cod in winter. The sun is still shining most of the time and the house continues to produce electricity. Solar City is selling this electricity to the grid at the retail price. Our meter is running in reverse. So, for a lot of reasons, solar has done very well. GAZETTE: You say that one of the top priorities for this country should be upgrading the transmission grid. I think a lot of people, when thinking about climate change, think wind farm, solar farm, but not transmission grid. Why do we need that? McELROY: Think of the role played more than 100 years ago by Thomas Alva Edison. Edison was an incredible inventor. He was also a very smart guy and he built the first electricity-generating system in Manhattan. Then Westinghouse came along and suddenly we began to see electricity generated in central facilities and distributed more widely to local customers. We’ve built our electrical system in a piecemeal way. We didn’t say, “What’s the best national electricity system?” If we had done that, we would have had an interconnected national electricity system. The U.S. has three electricity systems: East Coast grid, West Coast grid, and Texas. It’s very difficult to move electricity across those boundaries. At a minimum, we should invest to interconnect the boundaries. That’s a no-brainer and it would not be very expensive. I like to think about being able to move electricity efficiently over several thousand miles, coast to coast, border to border. We have wonderful wind resources in the middle of the country. The key location to produce electricity from the sun is in the southwest, where we have great solar conditions. The ideal would be to bring both those sources to where the markets are, on the East Coast and West Coast and in major cities like Chicago. But if you’re going to serve those markets you have to be able to deliver. In addition, the demand for electricity peaks in the morning and peaks in the evening: when people get up and when they come back from work. If we had a system that was interconnected from California to Massachusetts, at a minimum we’d take advantage of the three-hour time shift to smooth out the peaks in demand. What are the obstacles? The obstacles are largely political — the fact that you have to bring power across state boundaries, and you may have to go across individuals’ property. The federal government has the authority to overrule objections if it’s declared to be in the national interest or if it’s in effect a matter of national security. That’s largely why we have a reasonably efficient natural gas distribution system. It could be done for electricity also if we had the will to do it. If you really make a commitment to developing this electrical infrastructure, you’re going to have to employ lots of people. So this would be good for the economy. My vision would be one in which we invest in community colleges that train people for those jobs. These are going to be good-paying jobs that can’t be exported. Researchers say the findings of their study, published Aug. 5 in the journal Science, may lead to new therapies to halt the progression of the uniformly fatal disease that affects more than 30,000 Americans. One such treatment is already under development for testing in humans after the current study showed it stopped nerve cell damage in mice with ALS. “Our study not only elucidates the mechanism of axonal injury and death but also identifies a possible protective strategy to counter it by inhibiting the activity of RIPK1,” said the study’s senior investigator, Junying Yuan, the Elizabeth D. Hay Professor of Cell Biology at HMS. The new findings come on the heels of a series of pivotal discoveries Yuan and colleagues made over the last decade, which revealed RIPK1 as a key regulator of inflammation and cell death. But until now, scientists were unaware of its role in axonal demise and ALS. Experiments conducted in mice and in human ALS cells reveal that when RIPK1 is out of control, it can spark axonal damage by setting off a chemical chain reaction that culminates in stripping the protective myelin off axons and triggering axonal degeneration — the hallmark of ALS. RIPK1, the researchers found, inflicts damage by directly attacking the body’s myelin production plants — nerve cells known as oligodendrocytes, which secrete the soft substance, rich in fat and protein, that wraps around axons to support their function and shield them from damage. Building on previous work from Yuan’s lab showing that RIPK1’s activity could be blocked by a chemical called necrostatin-1, the research team tested how ALS cells in lab dishes would respond to the same treatment. Indeed, necrostatin-1 tamed the activity of RIPK1 in cells of mice genetically altered to develop ALS. In a final set of experiments, the researchers used necrostatin-1 to treat mice with axonal damage and hind leg weakness, a telltale sign of axonal demise similar to the muscle weakness that occurs in the early stages of ALS in humans. Necrostatin-1 not only restored the myelin sheath and stopped axonal damage, but also prevented limb weakness in animals treated with it.